Home » Technology » What is LIBS? A typical detection limit of LIBS for heavy metallic elements is in the low-PPM range. LIBS is applicable to a wide range of sample matrices that include metals, semiconductors, glasses, biological tissues, insulators, plastics, soils, plants, soils, thin-paint coating, and electronic materials. 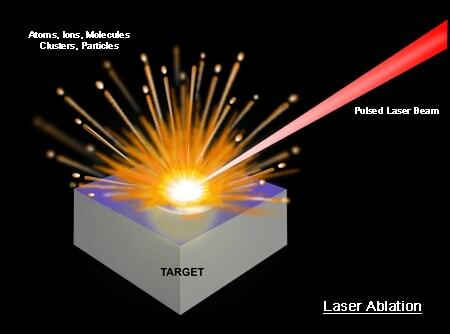 Laser Ablation: The removal of a small quantity of mass from a sample’s surface using a focused, pulsed laser beam. Initiation of a high-temperature (>15,000K) plasma above the sample surface and a rapid exansion of the plasma into the ambient medium. Emission of continuum light during early stage (< 200 ~ 300 nsec) of plasma cooling process. 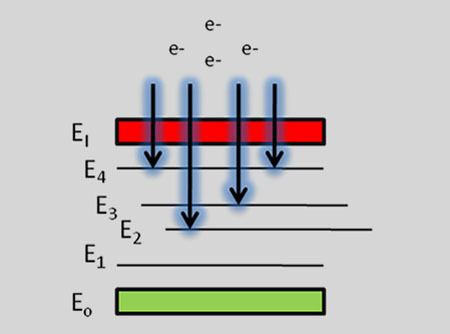 Emission of discrete atomic lines at later times (> 1 µsec). So how does LIBS work? The main physical process that forms the essence of LIBS technology is the formation of high-temperature plasma, induced by a short laser pulse. 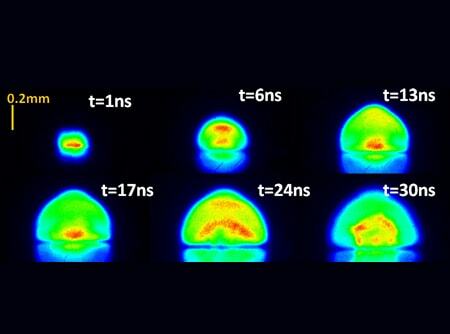 When the short-pulse laser beam is focused onto the sample surface, a small volume of the sample mass is ablated (i.e. removed via both thermal and non-thermal mechanisms) — in a process known as Laser Ablation. This ablated mass further interacts with a trailing portion of the laser pulse to form a highly energetic plasma that contains free electronics, excited atoms and ions. Many fundamental research projects have shown that the plasma temperature can exceed 30,000K in its early life time phase . When the laser pulse terminates, the plasma starts to cool. During the plasma cooling process, the electrons of the atoms and ions at the excited electronic states fall down into natural ground states, causing the plasma to emit light with discrete spectral peaks. The emitted light from the plasma is collected and coupled with an ICCD/spectrograph detector module for LIBS spectral analysis. Each element in the periodic table is associated with unique LIBS spectral peaks. 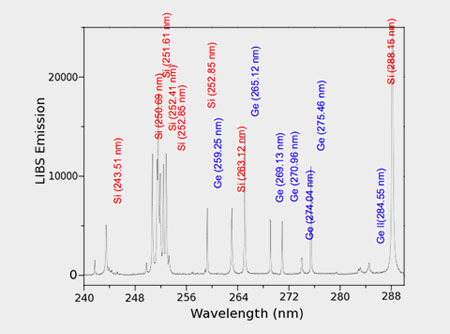 By identifying different peaks for the analyzed samples, its chemical composition can be rapidly determined. Often, information on LIBS peak intensities can be used to quantify the concentration of trace and major elements in the sample. 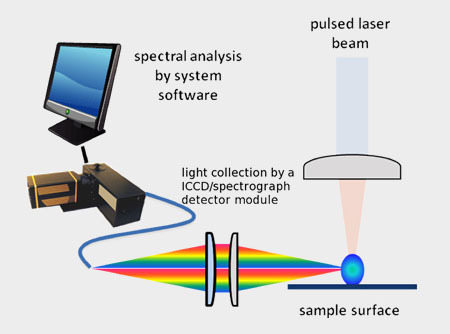 With the advancement of powerful chemometric software for LIBS data analysis, and with steady progress in understanding laser ablation fundamentals, today’s analytical researchers are applying LIBS effectively for both quantitative and material discriminatory analysis for a wide range of sample matrices. 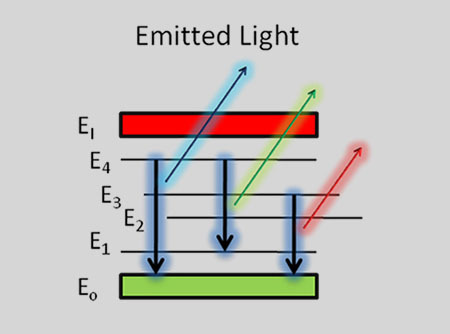 Emitted light collection by a set of optical lens and optical fiber. Applied Spectra harnesses LIBS technology with its state-of-the-art elemental testing devices. We deliver solutions that are fast, reliable, precise and environmentally friendly. Our instruments are adaptable to a variety of environments, from field testing, to manufacturing floors, to laboratory settings. Contact us to learn more.